My credit rating – is it really 10 years before I can obtain credit if I file bankruptcy? How can I afford legal fees if I am considering bankruptcy? Should I work with a credit counseling service? Can bankruptcy help me if I am being sued? Can bankruptcy discharge tax debts I owe the government? Are child support and alimony dischargeable in bankruptcy? How long can I stay in my home if it is in foreclosure? Can I convert a Chapter 13 case to Chapter 7 if I change my mind? Have a question not addressed on this page? Call our attorneys for a free telephone consultation. Your ability to obtain credit after filing for bankruptcy depends in great part on how you handle yourself financially during and after the bankruptcy. If after filing you pay your bills promptly, maintain steady employment and start to save, you are well on your way to financial credit worthiness. Additionally, the question of an applicant’s ability to obtain new credit depends on whether the amount he or she is attempting to borrow is reasonable. If after bankruptcy someone applies for enough credit to purchase a three-year-old vehicle with a few miles on it instead of a brand new luxury car, the chances of being approved are much greater. While every creditor views a bankruptcy discharge differently, the key is to use this new financial freedom wisely! There is no prohibition from applying for new credit as soon as the bankruptcy is over. Many debtors see their credit rating improve within a year after filing bankruptcy. When debts are discharged in bankruptcy, the credit report will show that the debts listed were included in the bankruptcy and the obligation to pay was discharged. Importantly, an individual’s debt load will be significantly less, which often increases his or her credit rating. If a debtor chooses to reaffirm certain debts, such as a debt that may be secured by a house or car, a debtor can improve his or her credit rating by paying these obligations on time in the future. By having less debt, increased disposable income and paying obligations on time after the bankruptcy is filed, a recently discharged debtor can build a good credit rating, which can help a debtor stay on the path toward financial independence. A Chapter 7 bankruptcy is a “liquidation proceeding,” which allows you to keep property so long as the fair market value of each item does not exceed the exemption amount for the state in which you reside. Missouri and Kansas have very different laws on the subject. However, both states have laws allowing exemptions for most typical household goods and items. Should your property exceed the state’s exemption amount, you will be allowed to buy back the property, or the Chapter 7 Trustee will auction the property and distribute the proceeds to your unsecured creditors. Unlike a Chapter 7 bankruptcy, a Chapter 13 bankruptcy case allows you to retain all your “non-exempt” assets. However, over a three to five-year period, you will pay the Trustee the value of those non-exempt assets in a Chapter 13 Reorganization Plan for distribution to your creditors. The Sader Law Firm will be able to counsel you through these options to determine what will best serve your situation. Many people ask us, “How can I be expected to pay a lawyer if I am considering going bankrupt?” The truth is that bankruptcy is not for people with no money or assets; it is for people that want or need to protect part of their lives from financial trouble. If you have an income, home, personal possessions – bankruptcy can help protect you from losing those items. 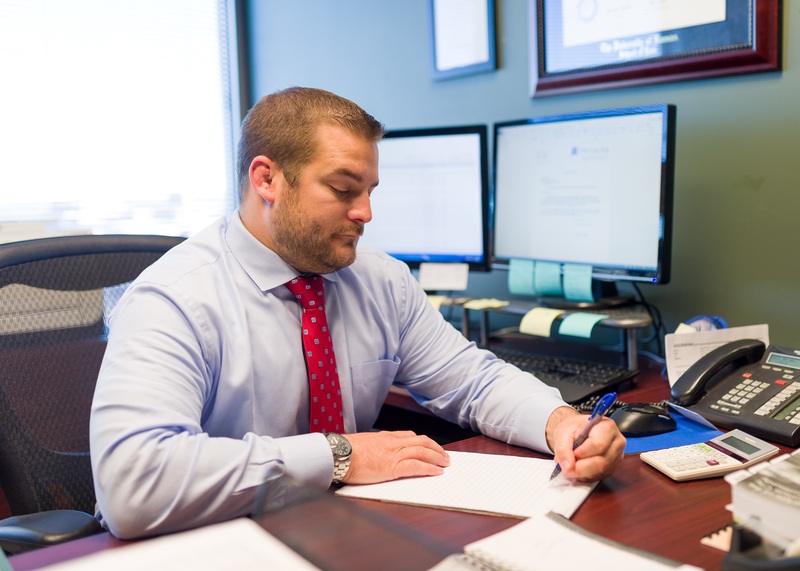 As we tell our clients, “If you live under a bridge and have no property, there is no point to filing bankruptcy because you have nothing that can be taken.” Our qualified bankruptcy lawyers take pride in providing personal attention to each of their clients. Our fees are also reasonable and fair. Please see our Bankruptcy Fee Schedule for more information. Advertisements for credit counseling companies (both for profit and non-profit) are everywhere. If performed properly and in the right situation, these services can help people work out their financial problems and avoid bankruptcy. However, hiring a credit counseling service is not right for everyone or helpful in all situations. Credit counseling services can be expensive and, unlike with bankruptcy filings, some creditors will not work with credit counseling services. Often credit counseling services only deal with one creditor at a time, and repayment plans can last for years. As part of the bankruptcy process, clients are required to participate in a short credit counseling session by an approved agency prior to filing. The Sader Law Firm works with an approved, reputable credit counseling firm to provide this service to each client. Our clients participate from home, by phone or on the computer, to make the session as comfortable and informative as possible. If you are being sued in any court by a creditor, mortgage company, former landlord or virtually anyone, the lawsuit is stopped or “stayed” – as it is called in bankruptcy – by filing any bankruptcy type, whether it is Chapter 7, Chapter 11 or Chapter 13 bankruptcy. The lawsuit cannot go forward without permission from the Bankruptcy Court. If the debt that was the subject of the lawsuit is an unsecured debt (credit card or hospital bill), it will usually be discharged in the bankruptcy and the former suit will be dismissed. If a lawsuit was filed and a judgment was rendered against you, you can typically include the debt in your bankruptcy and have the debt discharged through your case. However, certain types of debts are not dischargeable in bankruptcy, and consulting with an experienced lawyer about filing for bankruptcy is necessary. We are familiar with these issues, and your attorney is able to work with you to find resolutions for any bankruptcy question you may have. Yes, some taxes are dischargeable! Income taxes, property taxes and licensing fees to governments may be dischargeable. In order for taxes to be dischargeable, it is important for all returns to have been filed (even if the money due was not paid). However, withholding taxes, sales taxes and payroll taxes, for example, are not dischargeable. An attorney can review your situation and begin helping you obtain the relief you need. Yes, filing bankruptcy stops most wage garnishments immediately. If an employer withheld money and did not send it to the creditor or court, the moment you file bankruptcy you may be entitled to the return of those funds. While a bankruptcy filing cannot generally recover money already paid to a creditor, it can stop any further deductions from your check. The attorneys at our bankruptcy firm are able to file cases quickly to help you keep the money you earned. Is child support and alimony dischargeable in bankruptcy? Child support and alimony obligations are not dischargeable in bankruptcy. However, payment of past due amounts (arrears) can be scheduled through a Chapter 13 bankruptcy. Enforcing child support and alimony orders against someone filing bankruptcy can be technically complex, and the filing of certain actions may be required to ensure that any amounts due are not discharged. We are familiar with these issues and can counsel you, whether you are the debtor or creditor in a bankruptcy with child support, as to your rights and responsibilities. If you are not in bankruptcy and live in Missouri, you generally have 30 days to leave after the foreclosure takes place. In Kansas, you may stay for 90 days after the foreclosure, or possibly longer depending on your situation. If you are in bankruptcy, it will generally extend the time you can stay in the home for at least 90 days in addition to the amount of time mentioned above. If you have decided to surrender your home through the bankruptcy process during the period of time and up to the foreclosure, you can generally stay without making further payments to the mortgage company. Essentially, you may live there without making payments until required to leave. An experienced Kansas City foreclosure attorney at our firm can counsel you on your best legal options moving forward. If you are behind on a home mortgage and facing foreclosure, Chapter 13 bankruptcy can be used to force the mortgage company to stop the foreclosure and accept a payment plan for the missed payments. It is important to remember, that while those missed payments can be paid over a period of up to five years, you are required, while in Chapter 13, to make your full mortgage payment each month going forward. This is why those in Chapter 13 must have regular income – Chapter 13 is for those who can pay their current expenses and have enough income left over to pay the back-owed amount over time.Your attorney must work with you to develop a plan that will allow you to keep your home and develop a payment schedule you can afford. Those in Chapter 13, under the right circumstances, may convert their cases to Chapter 7. This usually occurs if clients decide they no longer want to keep their homes that filing Chapter 13 protected. Perhaps the ongoing mortgage payment was too high, a debtor lost a job or a couple decided to separate. If you need help deciding whether Chapter 7 or 13 is right for your financial situation and needs, we can assist in making the decision that is best for you. At The Sader Law Firm, we can prepare and file a bankruptcy as quickly as you can provide us the necessary information. Our attorneys can even file a case on the same day you contact us in certain circumstances. Typically, once a client contacts us, we forward a set of forms to the client by email or regular mail. Once the client has completed the forms, we ask the client to set an appointment with us to visit with an attorney. There are no fees required prior to the first appointment in our office. If all the information is provided and the necessary fees are paid, we can usually have the papers ready for review and signature within a couple of days. We then file the case electronically. Once the case is filed, the first important date is the meeting of creditors, which usually takes place about 30 days after the filing. It is required that every debtor and his or her attorney attend that meeting, which takes place at the courthouse or office of the Trustee, and usually takes less than one hour. At that meeting, the appointed trustee reviews the paperwork, lets us know if additional information is needed and creditors have an opportunity to ask questions. However, creditors usually do not show up. If the case is a Chapter 7 and the process goes smoothly, the discharge is entered by the court 90 to 120 days later and the case is over. All creditors receive the notification by mail. If the case is a Chapter 13, it is expected that the Chapter 13 Reorganization Plan proposed by the debtor will be confirmed shortly after the meeting of creditors. Once the Plan is confirmed and the required Plan payments are completed, a discharge will be entered by the court. It is crucial that your attorney work with you to make sure your case stays on track and completes as quickly as possible. If you have additional questions about bankruptcy or would like to learn if filing bankruptcy in the Kansas City area is the right solution for your debt problems, contact our bankruptcy attorneys now to get the answers you need during a free consultation.